At Garment Printing, we specialise in printing for charitable causes. Whether you need t-shirts for your next marathon run or for raising awareness on the streets, we have just the solution. What’s better – we offer a price beat promise and free design assistance to ensure you don’t spend too much. We acknowledge the fact that these t-shirts are for a good cause and therefore our aim is to ensure you save money while you undertake this wonderful endeavour for a good cause. Whether it is logo design, embroidery or screen printing we have the solutions. Below are some of the wonderful people who raised money for Charities that have a huge impact. Meet the people behind some of these worthwhile causes. 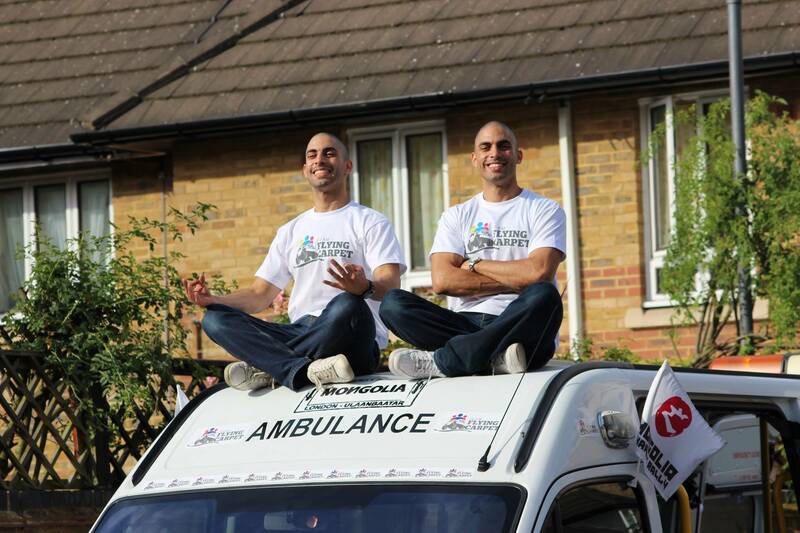 The two brothers Mo and Abdul El-Togby had set a goal to raise money to drive an ambulance from London to Mongolia in aid of the UK charity GoHelp. They aimed to donate the ambulance, raise £1,000 in sponsorship, donate equipment to Mongolian health and educational child charities. Previous Why Give Away Promotional Totes?